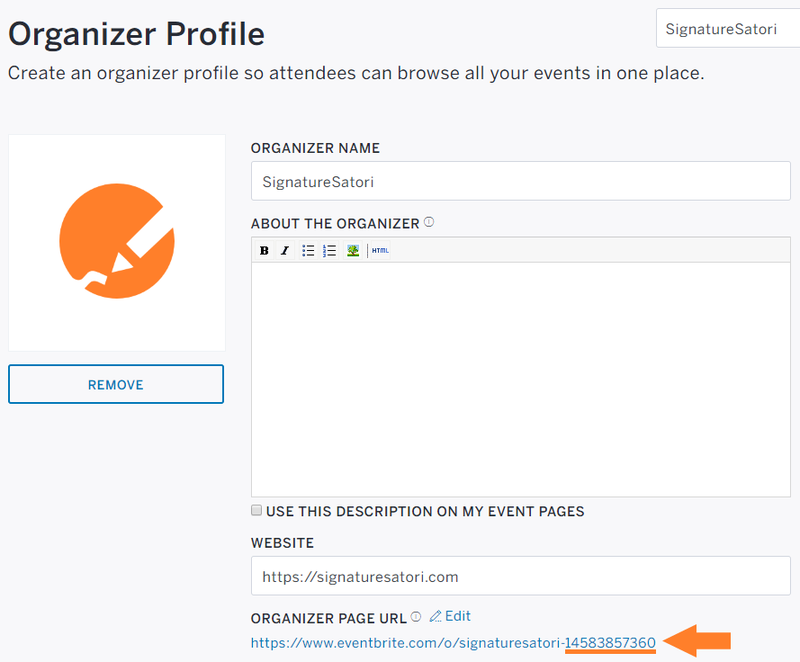 How to find Eventbrite Organizer ID used in external sources configuration. Start at Eventbrite site and Log in. Now click on Organizer Profile link (in user profile menu). 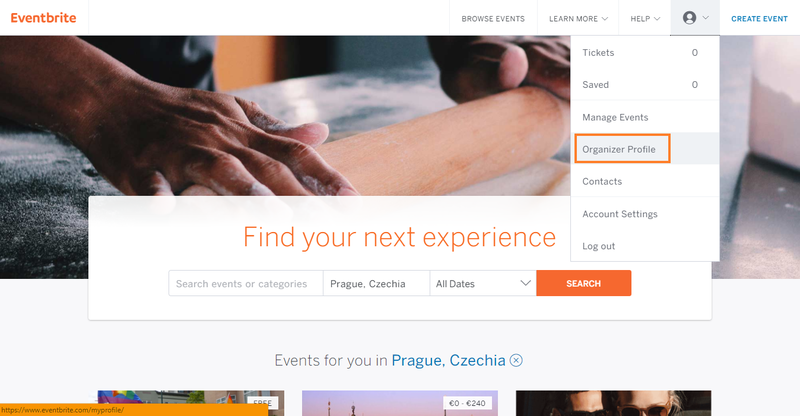 If you are not able to see Organizer Profile, you have to create an event in your Eventbrite page. For creating an Organizer go to Manage Events > Create Event section. 3. Your Organizer ID is the numerical part of the link at the bottom of the page. You can add Eventbrite event to your emails even if you don't have direct access to the account. Start by searching the event or organizer on Eventbrite. When you find it, click on it and scroll below to see details about the organizer. 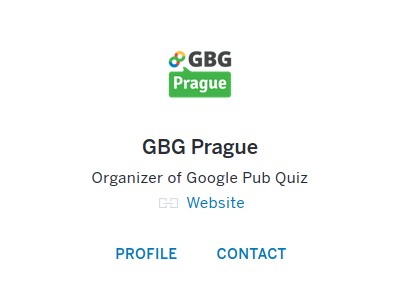 You will find even more information about the organizer here, but you're interested in a part of the URL as seen in the screenshot below - this is the Organizer ID you can use in SignatureSatori.